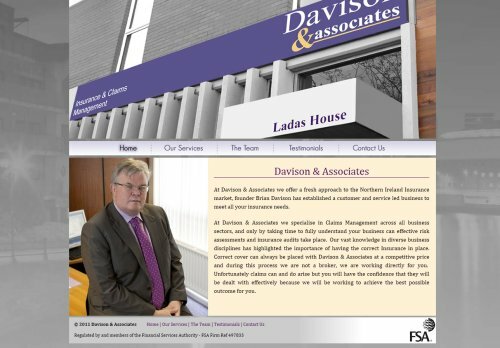 We’ve just completed a website for Davison and Associates (www.davisonandassociates.co.uk), an insurance and claims management company based in East Belfast. Davison and Associates specialise in Claims Management across all business sectors, and only by taking time to fully understand your business can effective risk assessments and insurance audits take place. When asked about how easy it was to work with Ardnet Online Solutions Kathrine Davison Said “We all found Ardnet Online Solutions extremely easy to work with, they always provided drafts on time and made any amendments to the original design quickly”.